Also, Mark Carney, CEO Bank of England; Carlos Moedas, Secretary of State Portugal; ex Goldman men. who are additionally major lobbyists and the largest campaign contributors for political candidates. The 2008 worldwide financial chaos started on Wall Street with a sudden realization mortgage backed securities (MBS) were junk bonds. Some pundits claim the bonds were fraudulently represented to European bankers. European banks holding these securities panicked from devalued reserves. (do you think some European bankers told some NYC bankers they would be swimming with concrete boots if they did not buy $700 billion of toxic bonds real quick ?) Loans ceased to be available. Construction ceased while taxes from manufacturers and retailers plummeted. Tax revenue could not cover government fixed expenses. Financial operations of European nations became managed by creditors to guarantee payments on sovereign debt while social programs and government salaries have been slashed. Economists without a PhD would say a bubble burst. Is there evidence the International Monetary Fund (IMF) and World Bank (WB) have similarly created debt in lesser-developed nations for decades and the same financiers are now moving up to European nations? 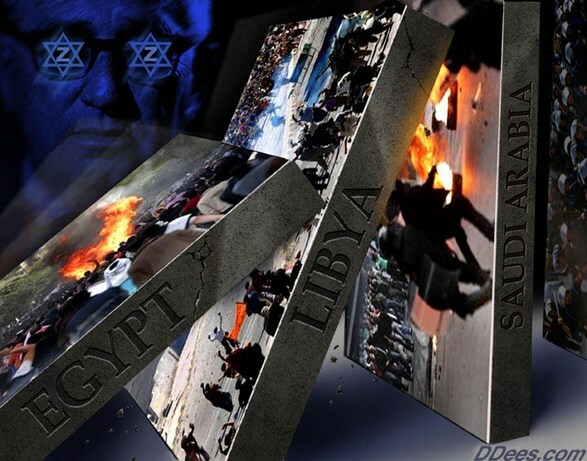 Is this the advance of the New World Order that has been touted by the Council on Foreign Relations (CFR) for 70 years? Is the $17　trillion debt of the United States handled by the same financiers and is it now in the initial stages of collection? Has the major funding for these financiers for the past 80 years come from profit concealed by the Federal Reserve Bank of New York (FRBNY) which legally belongs to the U.S. government? The answer is a collective YES. Copyright© 2012 by W.R. McAfee, Sr. All rights reserved. London’s international bankers who own and control the Bank of England (BOE), the Bank of International Settlements (BIS) in Basel, Switzerland—where the world’s central banks draw—as well as the rest of the world’s central banks, are rapidly consuming what few independent central banks remain. This same international banking cabal now has their sights set on currency mop-ups in countries like Syria, Sudan, and lesser nations in their quest to control all the world’s money. They already manipulate America and every other nation on earth with the currency their central banks print—for the price of paper, ink, and labor—and sell to each nation at never-ending interest for the huge sums they deliberately lend to Pavlovian politicians and governments who willfully run up enormous totals; the bankers, all the while, knowing full well these nations could not/would not be able to repay their loans.